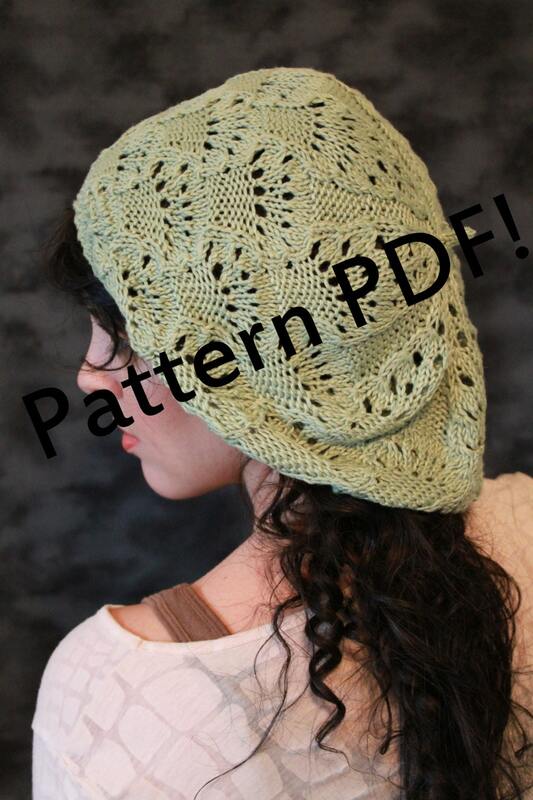 This listing is for a handknitting pattern, which is available for immediate download through Etsy upon completion of checkout. Photos depict how your item will look if you follow the instructions given in the pattern; these items are not part of your purchase. Please note that, pursuant to Etsy's and my policies on digital downloads, NO REFUNDS will be given after the pattern has been purchased. A delicate combination of lacy, meandering vines and twisted rib combine to make this elegant beret, rendering it a crown fit for a forest nymph. The 2-page PDF includes both charts and written instructions for the lace.